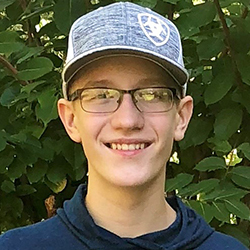 The December 2018 student of the month is Zach Jacobe, a freshman who already stands over six feet tall and is standing out in the classroom in his first year at Alpha Omega Academy. I have been a student at Alpha Omega Academy for 5 months. My family and I went to a State of Texas homeschool conference in the summer of this year and explored many different curriculums. After a lot of research, we decided that AOA was the best choice for me. One of the things I like the most about distance learning is that I feel like the courses are designed specifically for me. Also, having the flexibility to manage my work schedule with other activities is great. Math has always been my favorite subject because I enjoy the challenge. I have been learning Algebra this year in AOA, and I like how the information is explained in both written and video formats. 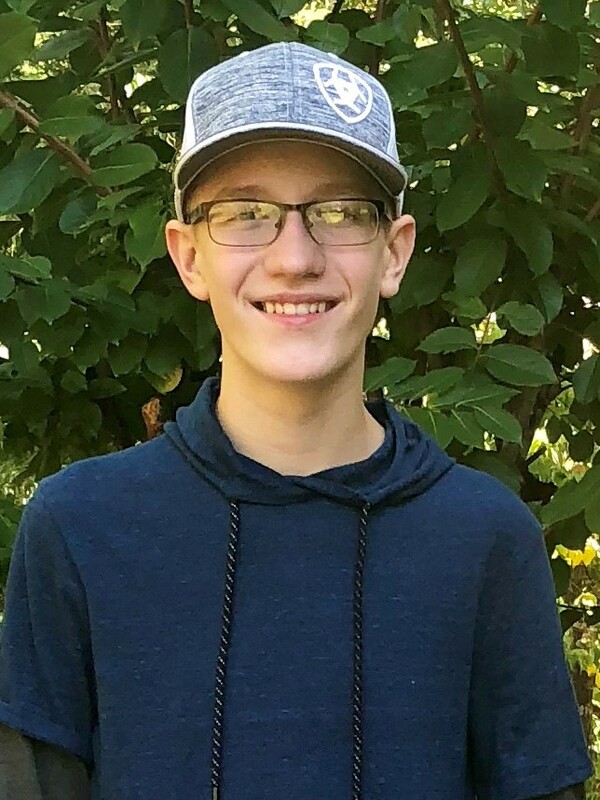 Online Whiteboard Hours (OWH) have been very helpful, and I have always felt that the teachers are quick to respond and concerned about me learning the information. I am very active in my church youth group, and I enjoy spending time with my friends. I also like to go hunting with my dad and taking family trips. Some of my hobbies are playing guitar and saxophone, playing basketball in a home school league, and riding my dirt bike. I plan to go to college at Texas A&M University and study engineering. I would like to one day own and run my own business. To me becoming successful in your own business would be very rewarding and would allow me the opportunity to help other people. If I could offer advice to my AOA classmates, it would be to remain prayerful while doing your work and keeping a positive mindset. Learning must be fun.